The fabled land of Rajasthan was actually a collection of princely states. Chief among them were the states of Mewar and Marwar, with their seats at Udaipur and Jodhpur respectively. 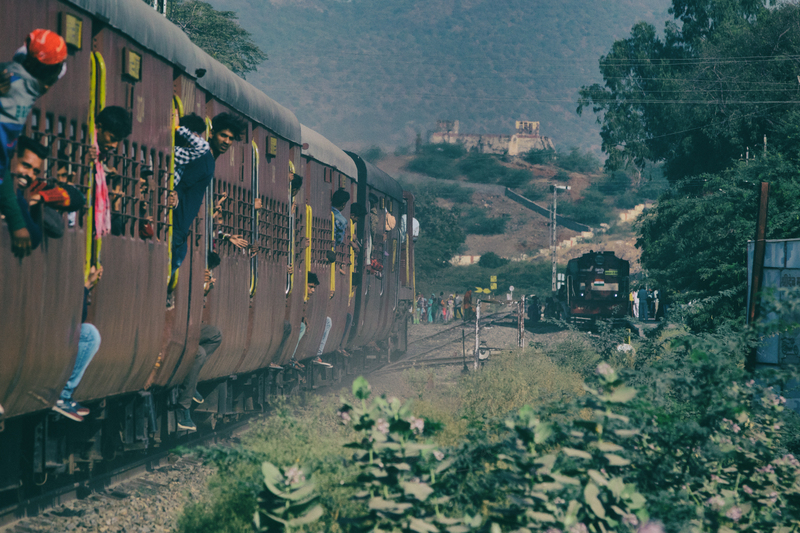 From the late 19th century itself, Marwar was served by the Rajputana – Malwa railway, with lines extending from Ajmer to Delhi, Indore and Ahmedabad, and a branch to Jodhpur via Marwar Jn. Mewar. 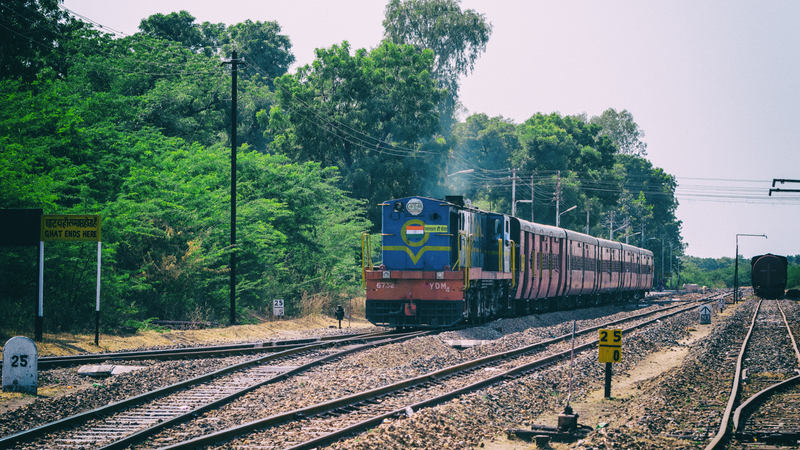 The Marwar Durbar on the other hand, only ran a short line between Udaipur and Chittor operated by the Bombay, Baroda and Central Indian Railway. But it wasn’t until 1936, that the two states were directly connected, until the line from Marwar Jn to Mavli, near Udaipur was completed. 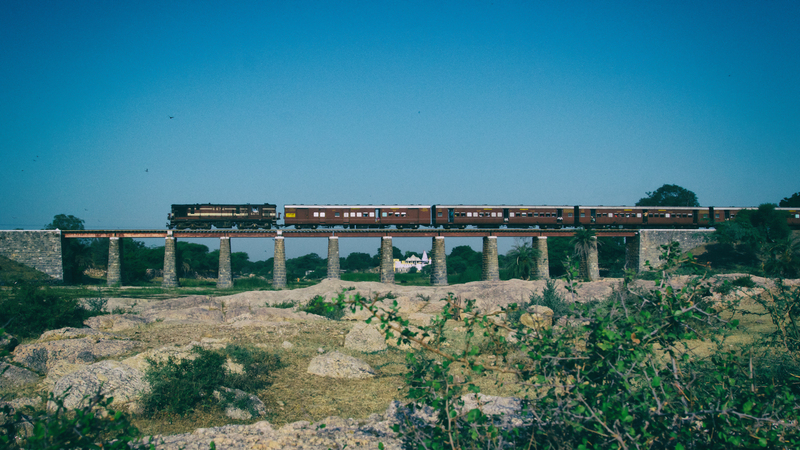 The line was built by the legendary Kutch Mistris, who had laid railway lines as far east as Burma, and were renowned for their skill lay in bridge building and laying lines in difficult terrain. This skill came in handy for Marwar Jn. is at an altitude of 269m, just to the west of the ancient Aravalis which run south easterly from Delhi’s vicinity. 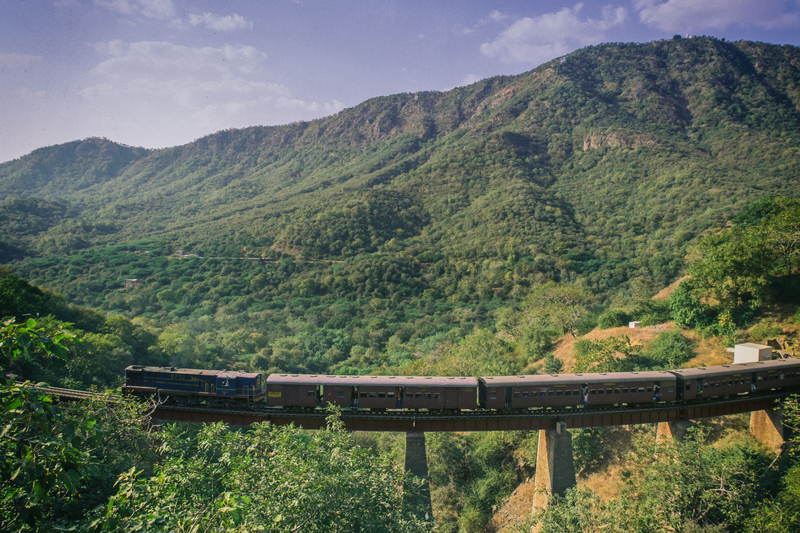 The new line had to climb these hills and then on to the Mewar plateau, upon which sit Mavli and Udaipur. It was a line that brought two princely states, closer. These days however, the train’s priority can be judged by the fact that it is the train that has to halt at a level crossing. The driver has to look out for road traffic and then inch forward after ascertaining that all is well. 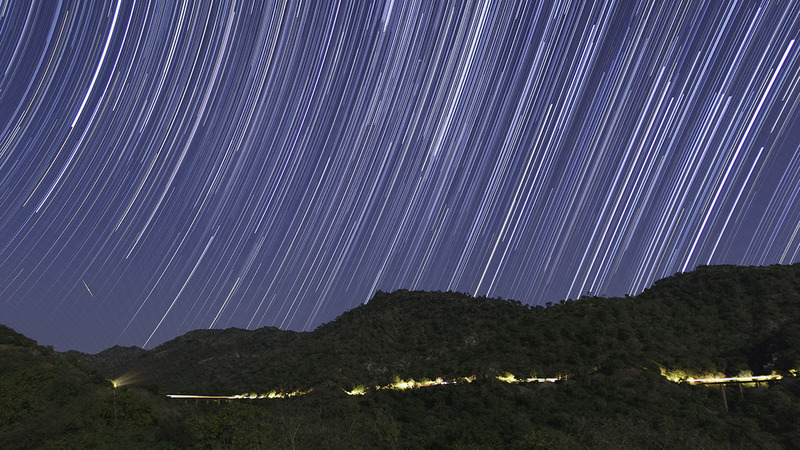 The line climbs slightly till Phulad, at an MSL of 352m. The lay of the land dictates a reversal at Phulad, from where the gradient rises immediately. The Ghat section ends of Khambli Ghat which is 22 km by rail. Within this distance, the line climbs 305 m, peaking just before Khambli Ghat at an altitude of 657m. The climb through the hills is through a series of tight curves and sharp grades, characteristic of this section. This also necessitates a relatively slow section speed of 19 kmph. 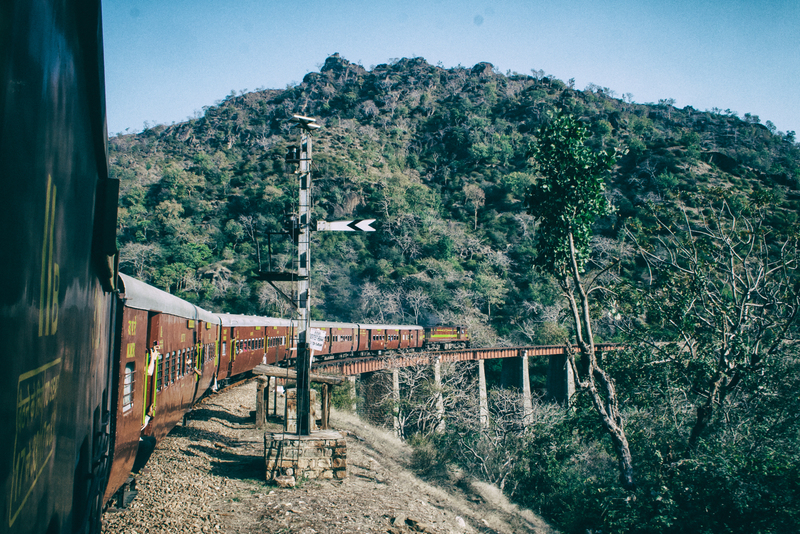 The line moves in a rough north-easterly direction till Goram Ghat, the only intermediate station in the hills. The vegetation is typical of the Aravalis with Kikar, Babool and other thorny bushes abounding. 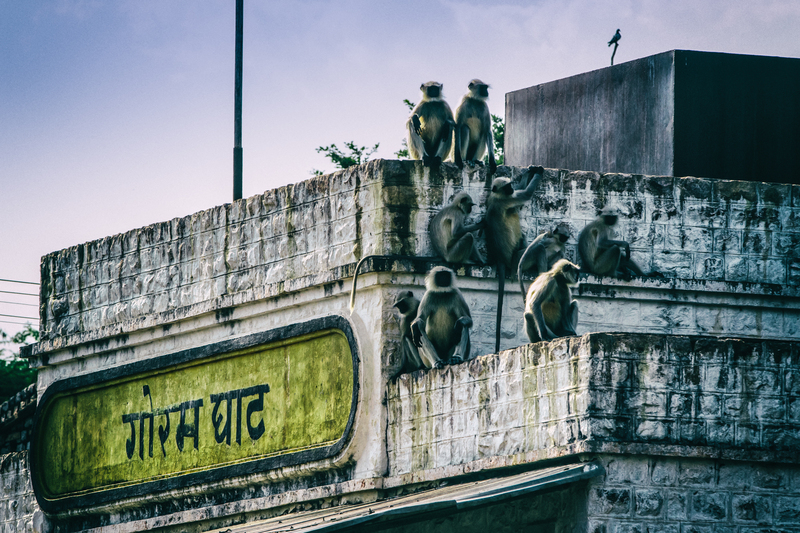 Goram Ghat is also the home to a horde of Hanuman Langur monkeys, who eagerly await the arrival of a train – as passengers often feed them during the halt. After Goram Ghat, one can easily see the line climbing further across the valley. A couple of viaducts are visible as well. The train reaches across the valley, by the means of a horse-shoe curve. Thereafter, the line holds a southern course for more than 10 kilometers along a ridge. 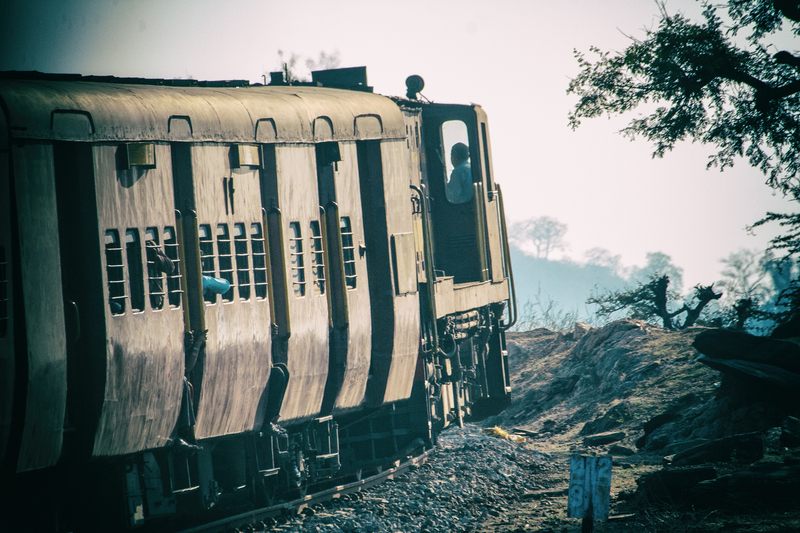 This means that one can see Goram Ghat station and its surroundings for the better part of 30 minutes. On a clear day, one can even see Phulad station and the nearby reservoir on the plains. Along this ridge, the train has to negotiate two tunnels of moderate length. The tunnels are unlined for most of their length and even the portals are not cemented as is commonly seen elsewhere. Past the tunnels, the line curves sharply to the east and starts heading to Khambli Ghat while still climbing. The final push to the summit is perhaps the steepest unassisted climb outside of the narrow gauge in India. 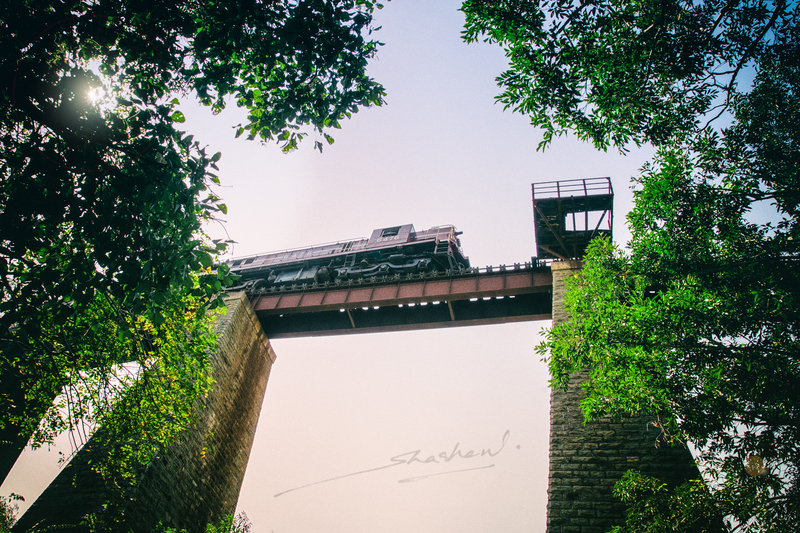 While Goram Ghat is the only crossing station on the line, there are several catch sidings along the line for trains heading downhill. 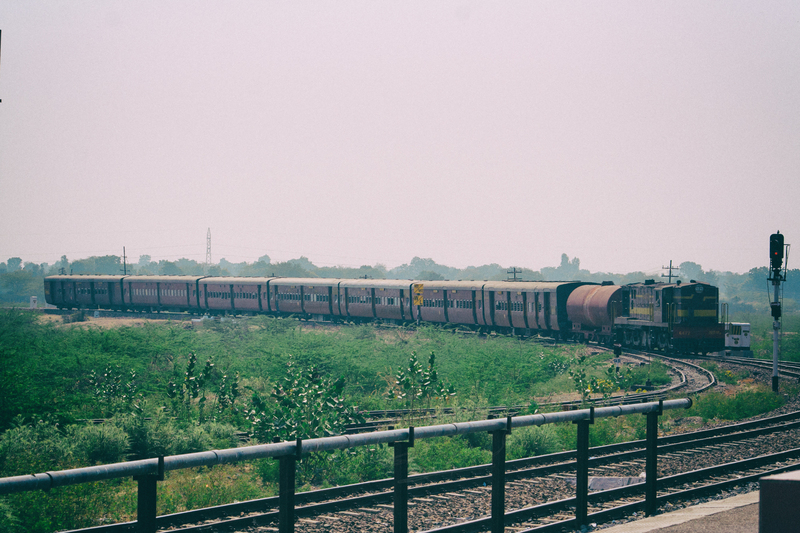 After Khambli Ghat, the line gently descends downhill and joins the mainline to Udaipur at Mavli Jn. Another spur headed to Bari Sadri from Mavli, but that line is now broad gauge, as is a parallel line from Nathdwara to Mavli and onward to Udaipur. 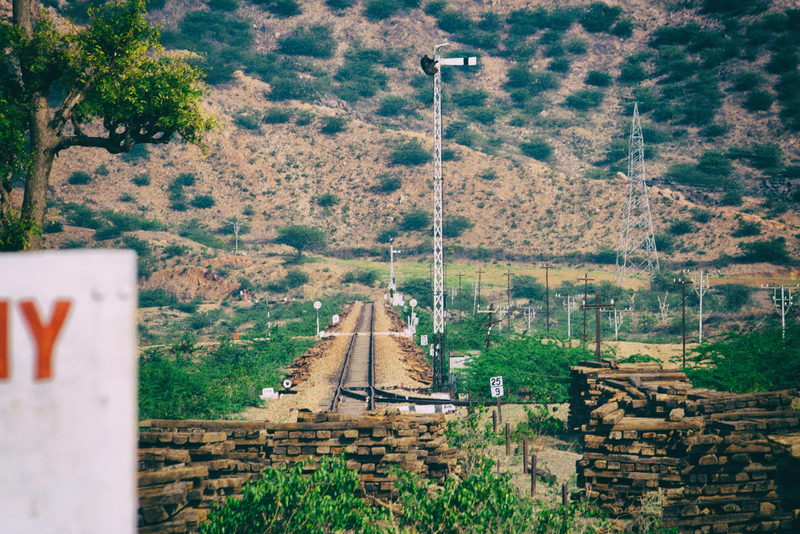 This 150km line is all that remains of a mighty Meter Gauge (1000mm) railway network that covered all of Rajasthan. The rest, has fallen prey to gauge conversion to Broad Gauge (1676mm). In its twilight days, just two pairs of trains serve this section today, they too seem to be on their last legs. 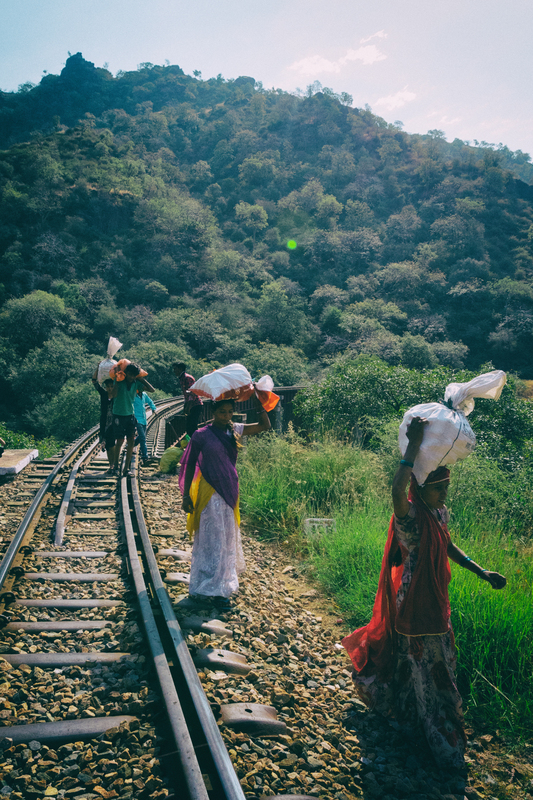 A new broad gauge line will bypass these hills – and most likely, nothing will remain of the railway. 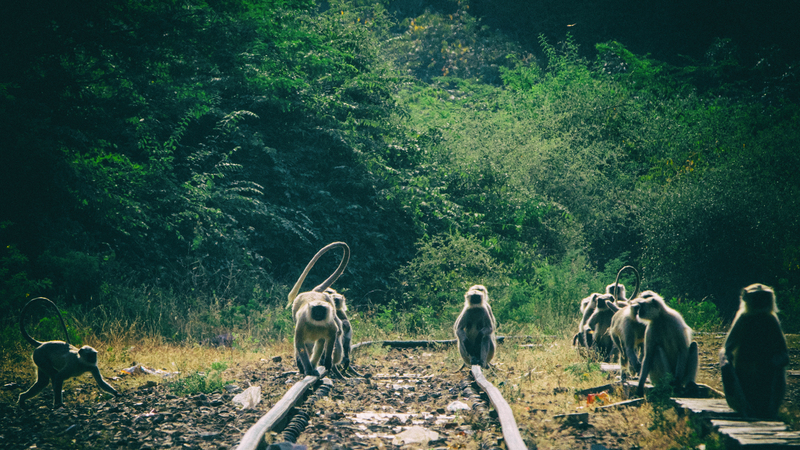 And the langurs and other animals of the Todgarh – Raoli forest, through which the ghat section passes, will have the woods to themselves.